SkyView evolutions – your network information at a glance! The control and monitoring of your network is essential to the optimization of performance and security. In order to cover these issues, your partner Sonema provides you with an optimized version of the supervision tool SkyView, accessible for free from your secure web interface. Stream optimization management available for clients subscribed to E Sky services. List of upcoming solar outages. 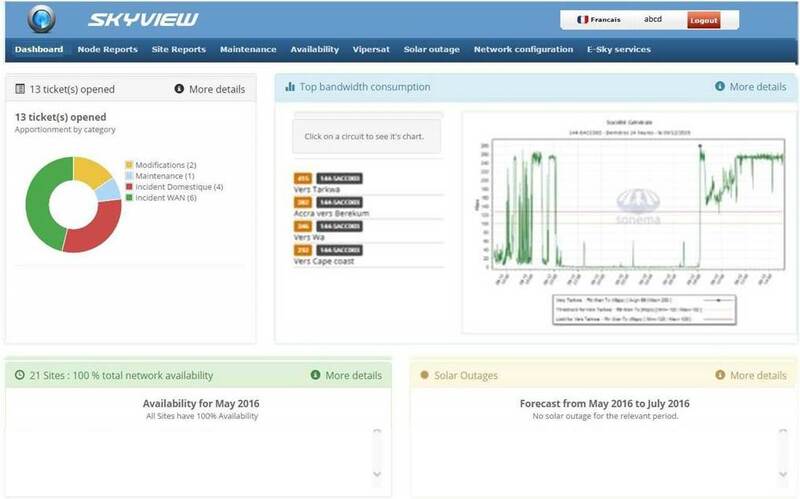 Don’t hesitate to discover this new version of SkyView and benefit from high visibility of your network data and high quality service provided by our solutions.